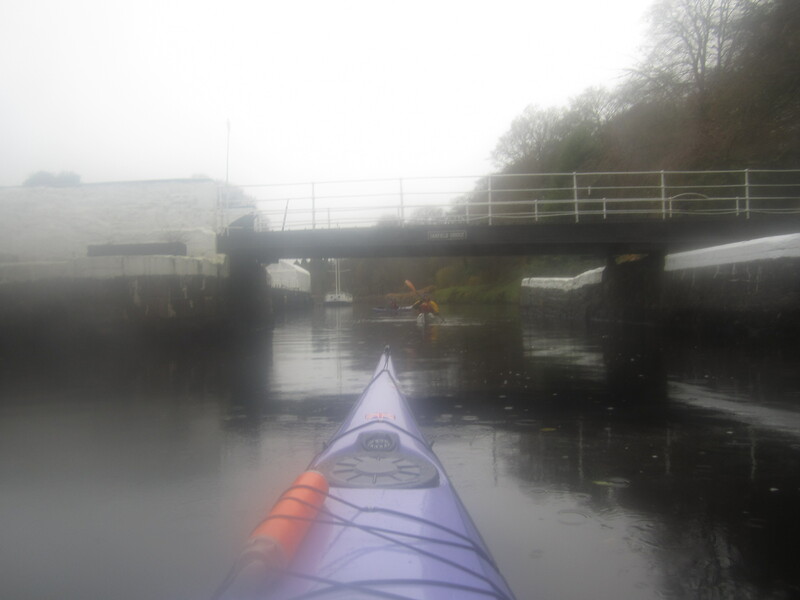 Report: Forecast strong winds and a desire to fill in the last bit of the Argyll Sea Kayak Trail led to the choice of fresh water and the Crinan Canal. 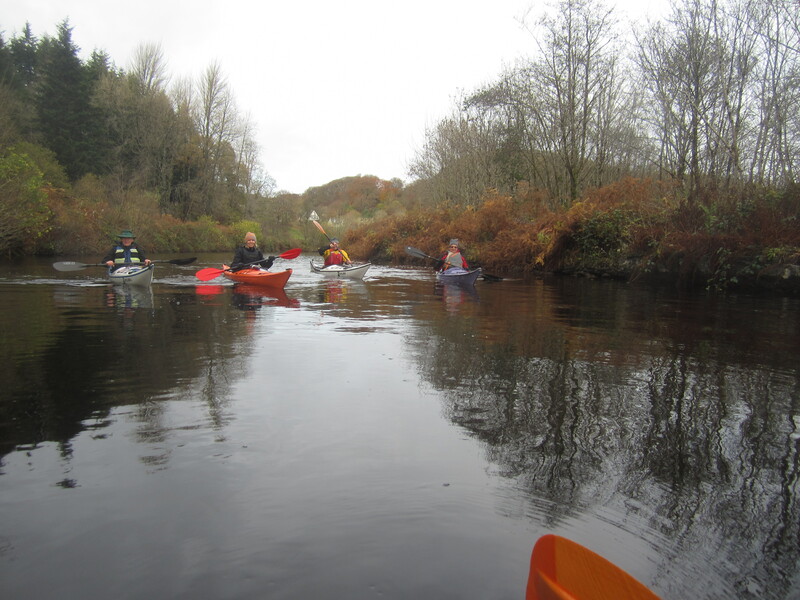 Within these limitations it is a lovely paddle but with restricted landscapes and little of paddling interest. 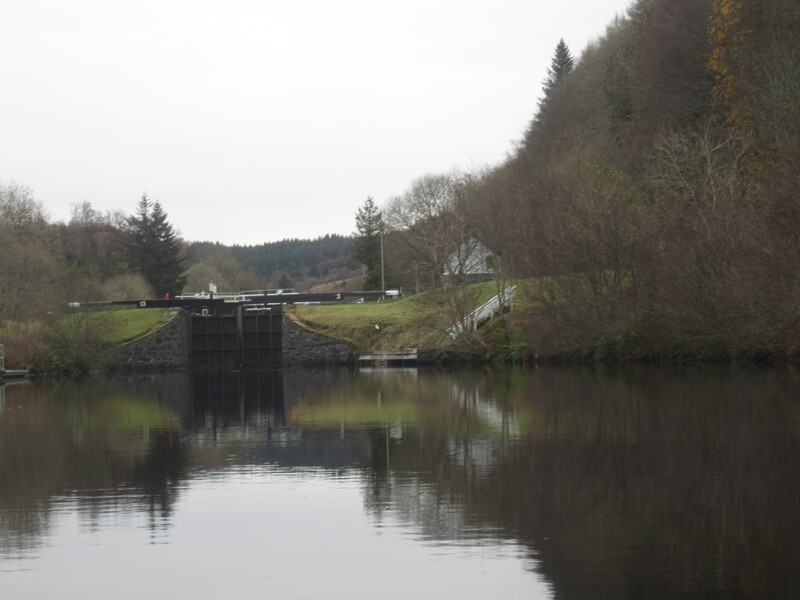 We put in at the swing bridge at Crinan Ferry where there is space for 3 parked cars. 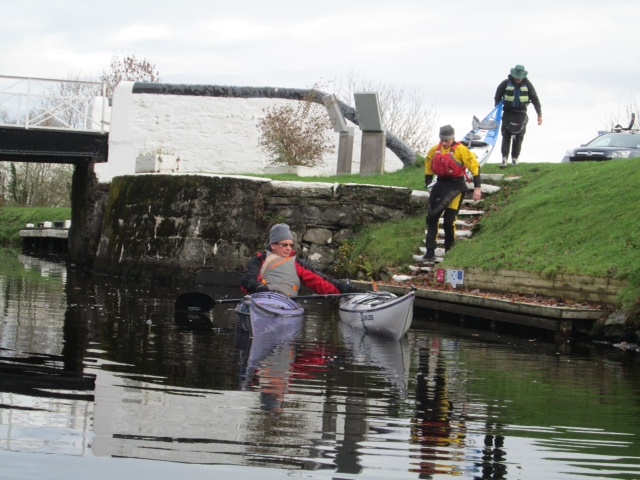 The low pontoons provided by Scottish Canals are excellent and the paddle to the first of the loch flights at Dunardry calm and attractive. 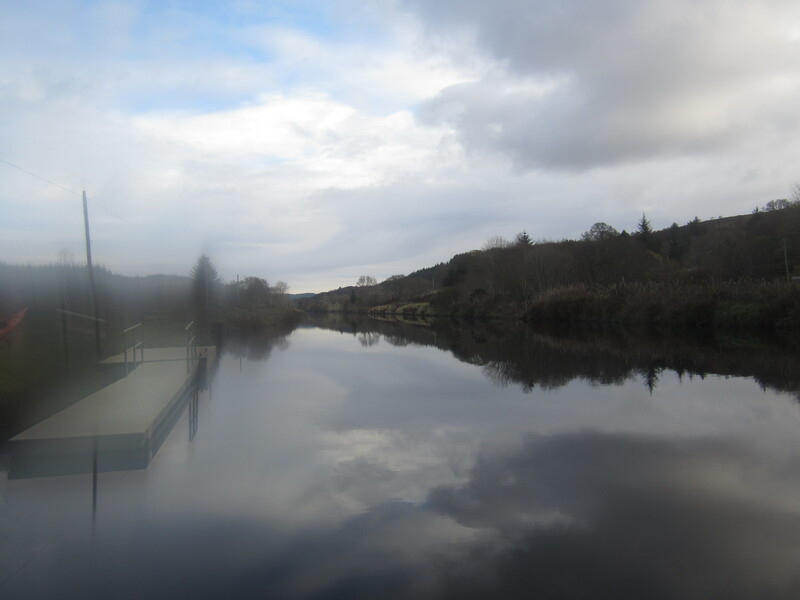 The first of the Dunardry Lochs, going Up. 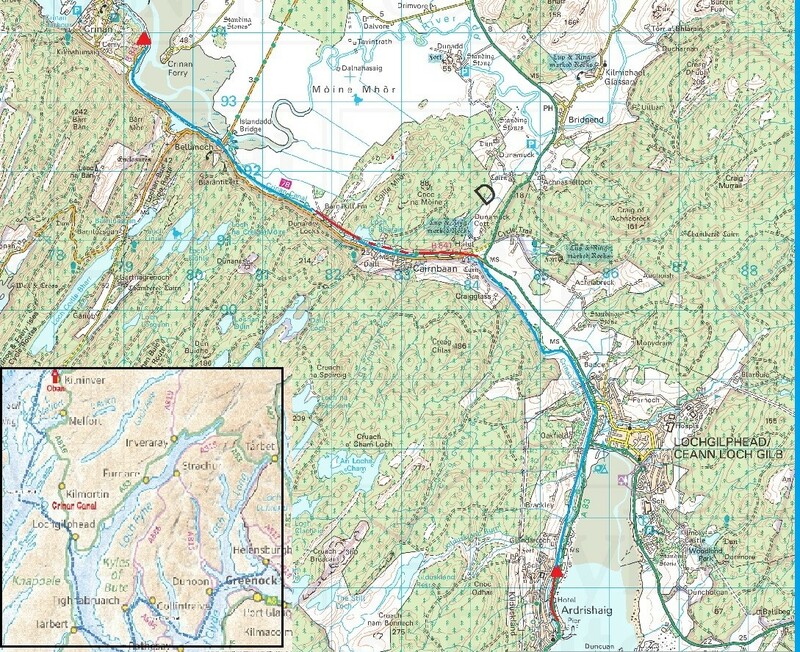 There are two loch flights between Crinan and Ardrishaig; Dunardry with 5 going up and Cairbaan with 4 going down. 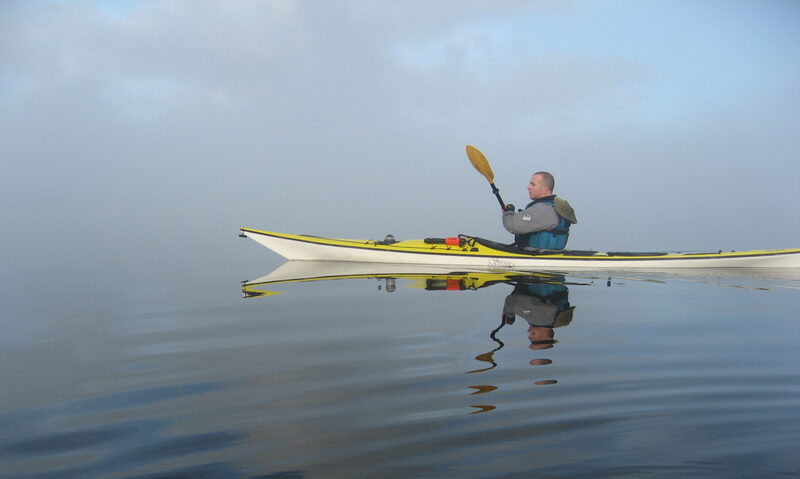 There is about 1 km between the two and it is a toss up whether you walk or paddle it. 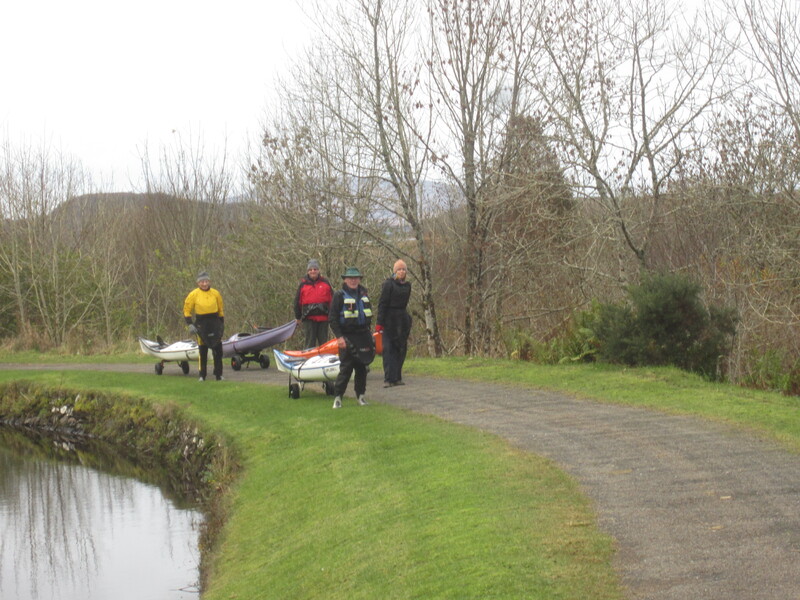 Portage Trolleys are essential and can be borrowed free of charge from the Canals Office in Ardrishaig. Contact them before you go as they are shut at weekends in winter, although the canals officer will come down to give them out. The two we borrowed were brand new. 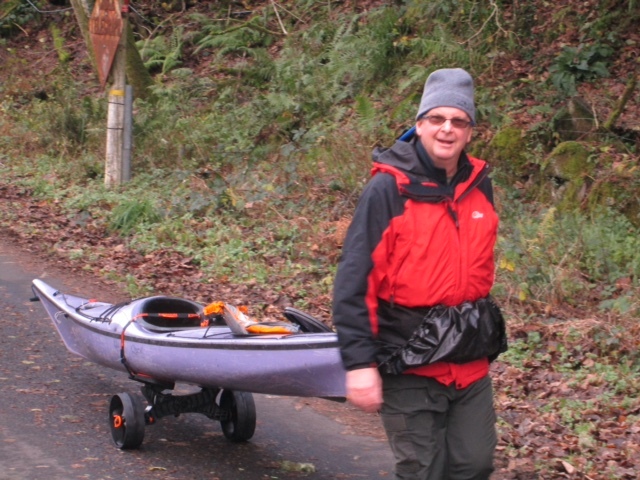 One problem was that one wheel on a brand new Decathlon trolley completely disintegrated and the kayak had to be carried. We have since established that a wheel on another Decathlon Trolley is splitting and close to disintegration. It appears that unlike pneumatic tyres, the solid plastic sand wheels fitted cannot take the vibrations of a track or tow path. Seriously Not Recommended. The path down from the pontoon to the Car Park is quite lengthy and again requires a trolley. 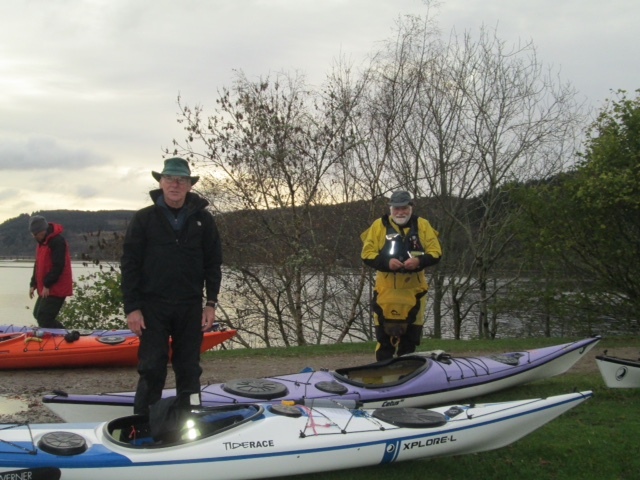 We are very grateful to Tim and Sheila for moving all the boats down whilst we went back up to get the cars. The timings were exactly as expected for the 9 miles. Allow 3 hours plus 1 hour for breaks and portage. 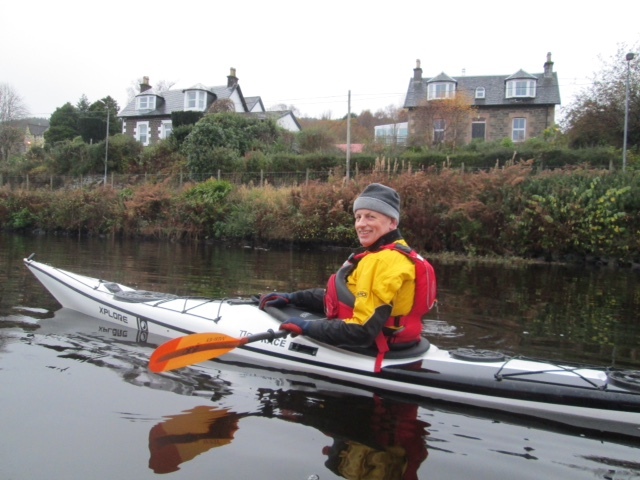 A very pleasant trip; excellent for Beginners and as a tranquil interlude from “The Breakers that give one the shakers” on the wide open sea (as described in the classic song The Crinan for Me).